Prime Minister Alexis Tsipras and Cyprus President Nicos Anastasiades discussed on the phone the latest developments on the Cyprus issue and exchanged views ahead of the continuation of the conference on Cyprus, said Cyprus government spokesman on his on twitter on Sunday. 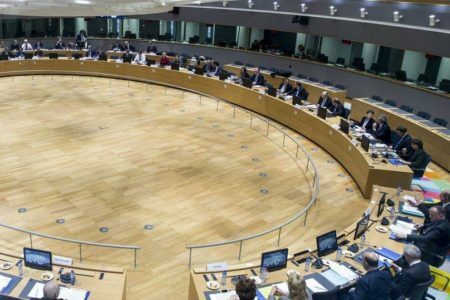 On Saturday, the two top officials agreed on the need to take advantage of the negotiations dynamic for a viable and fair solution for the Cyprus issue according to UN resolutions and Cyprus’ capacity as EU member-state. “Greece and the Republic of Cyprus come to the negotiations for the safety and the guarantees with determination and comprehensive proposals based on their principles and far away from anachronistic logic and approaches. For a re-united Cyprus without occupation troops and guarantees for the interest of whole the people of Cyprus” said Prime Minister Alexis Tsipras’ press office announcement on his contact with Anastasiades.